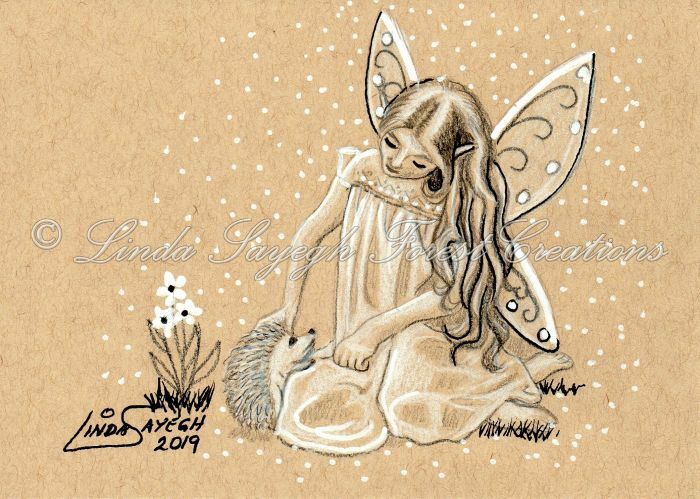 A young Faerie girl petting her friend the hedgehog. Colored pencils, Sharpie paint pen and white marker on Strathmore toned tan paper... 5 x 7 inches. Julie Rabischung says: So adorable 💜💜💜💜	~ Reply?